The opposite of Lake Superior in almost every way, Lake Ontario is the easternmost, lowest in elevation, smallest in surface area and perhaps the most polluted Great Lake. 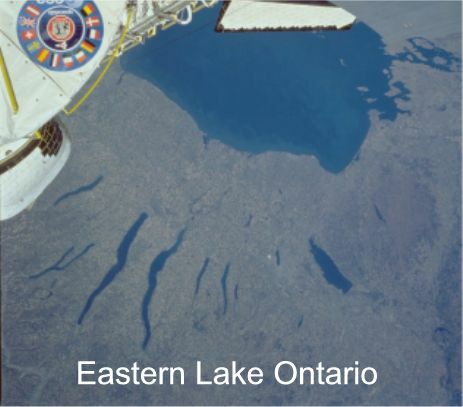 As the last lake in the chain, Ontario receives the accumulation of contaminants from the other Great Lakes in addition to the agricultural runoff, and urban and industrial waste discharges within its own basin. 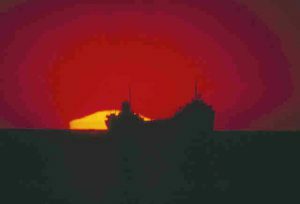 Its name originated with the local Iroquois Indians’ word for “a beautiful lake” — which it still is. With a maximum depth of 802 feet, Ontario is the third deepest Great Lake after Lakes Superior and Michigan. It averages 283 feet deep at 245 feet above sea level and has a flushing time of about six years. The lake is 193 miles long, 53 miles wide and has 726 miles of shoreline, giving it a total surface area of about 7,300 square miles — nearly the size of New Jersey. Lake Ontario is bordered on the south by New York and by the province of Ontario on the north. Canada’s commercial, industrial and population heartland is centered here, mostly around Toronto on the lake’s northwestern shores. About two-thirds of Canada’s steel is produced here. At the northeastern tip of the lake, its waters empty into the St. Lawrence River for a 1,200-mile journey to the Atlantic Ocean. Sliding around the beautiful Thousand Islands, the St. Lawrence moves northeast toward Montreal. This part of the river contains seven locks that were the keys to unlocking the Great Lakes to the world by creating the famous St. Lawrence Seaway. Opened in 1959, these Seaway locks lift and lower ships a total of 225 feet and give oceangoing ships easy access to the Great Lakes and their ports. 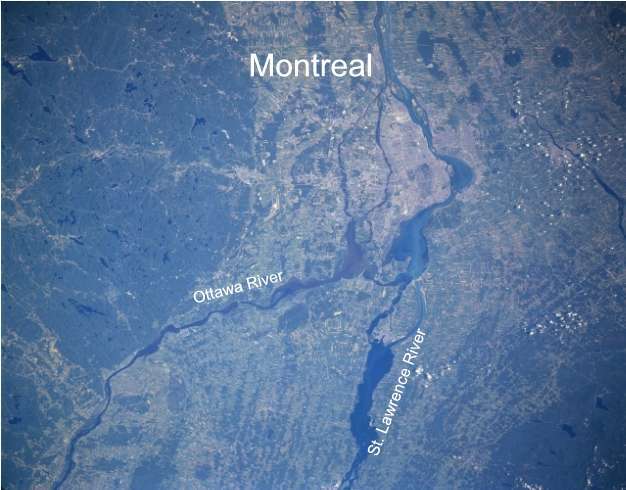 Just east of Massena, N.Y., the St. Lawrence River leaves the U.S. border and becomes solely a Canadian River. At Trois Rivieres — only half-way between Montreal and Quebec City and still hundreds of miles from the sea — the powerful influence of the Atlantic Ocean is first felt as the water level of the river begins to change with the ocean tides. Finally, 2,342 miles from Duluth — where the St. Lawrence River is miles across — the waters of the Great Lakes reach the Atlantic Ocean. 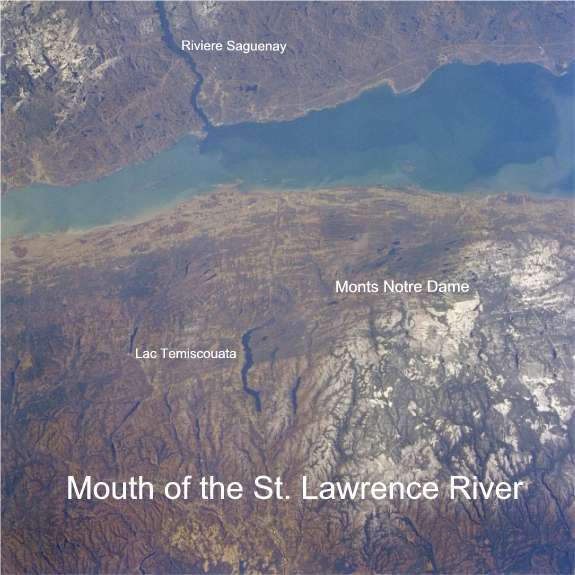 In total, the volume of water draining from the Great Lakes-St. Lawrence basins is so great that enough water flows out of the mouth of the St. Lawrence every 10 minutes to supply all people and industries of New York City for a entire day.